I was having a lot of fun using this app with a serato record to scratch digital files until I installed 11.3 a few days ago. Now it does not work. I hope they figure out a fix soon. The DVS skratch response was amazingly flawless. I was hooked ,and will be happy to pay for a working version. The preview version worked fine with my Numark PT-01 scratch after updated this app I have message pup up this device not supported by this iPad. Please fix app. 1. wet/dry and FX needs improvements 2. Need to add Beats Multiplier to FX parameters 3. loopers should be free like Table Beats and Tablist.net since there aren’t a lot to chose from. Or maybe import loopers from those apps upgraded version for a fee. 4. 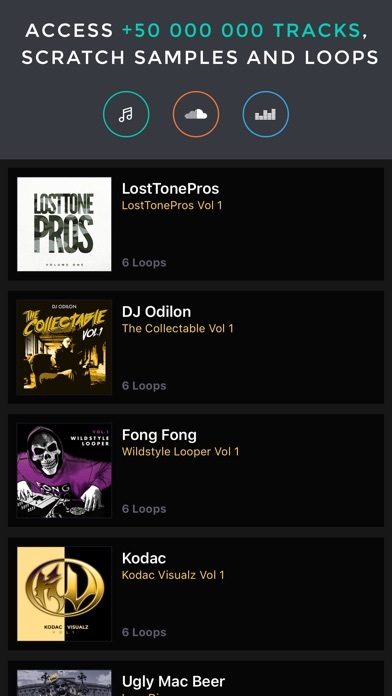 Add more loopers and scratch samples Disappointed with Mixfader app because I purchased the Mixfader to use with the app. Not to use with other software. 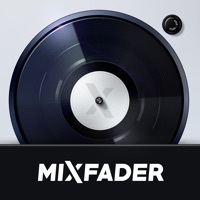 Mixfader app should be the main focus especially if it’s made for mobility! 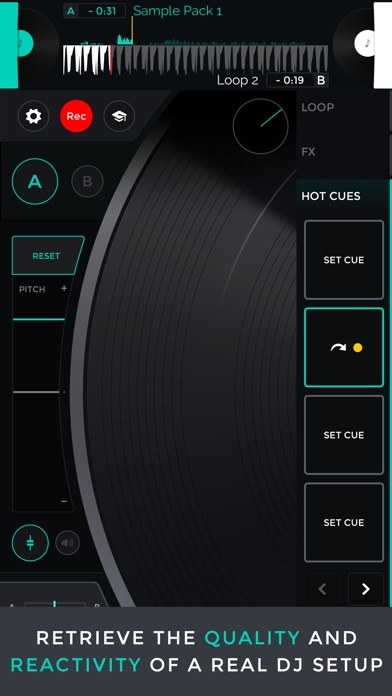 Very dope app when it works, the newest version made my vinyl control not to work good, its not catching the first part of the song right, when spinning the vinyl back it wont read the timecode.. I need a way to install the previous version to get it to work again. 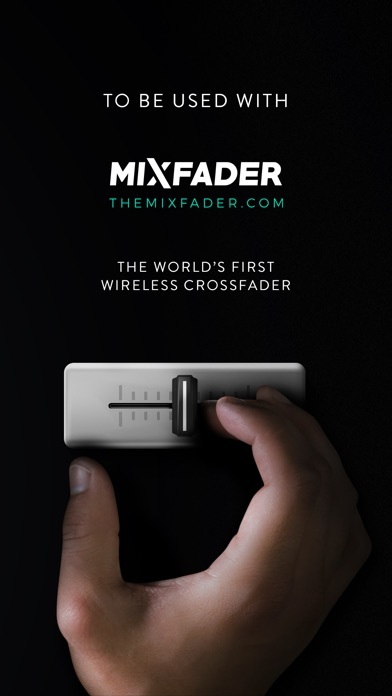 You have taken a great app and ruined it by adding a banner that says use mixfader!!! I have a mixfader but like my other fader better. You have one of the best Dvs apps out there for us portablists hands down!! 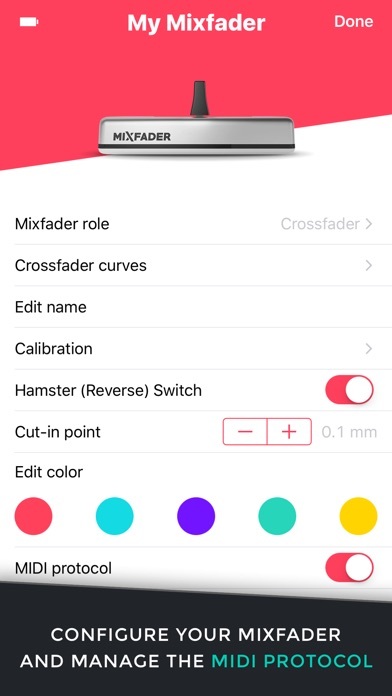 Please take off that stupid banner and let us use this great app without the banner and being constantly harassed to use a Mixfader. 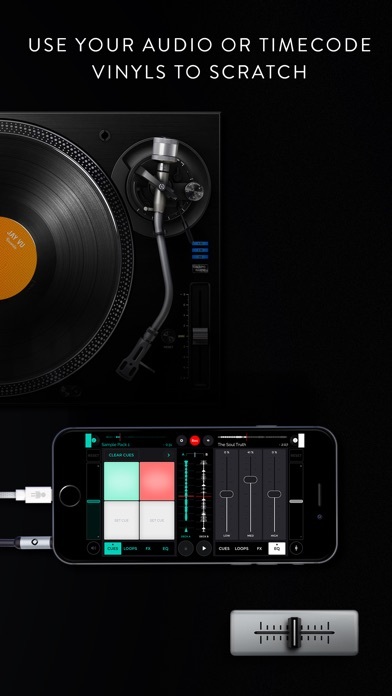 This app works great with a portable turntable and the Mixfader but doesn't work so well trying to scratch using the iPad. I have an iPad Pro and have to use really slow movements. So I'm not sure how the demo videos are able to get such low latency using the Mixfader and an iPad. The App actually works best for me using an external fader.